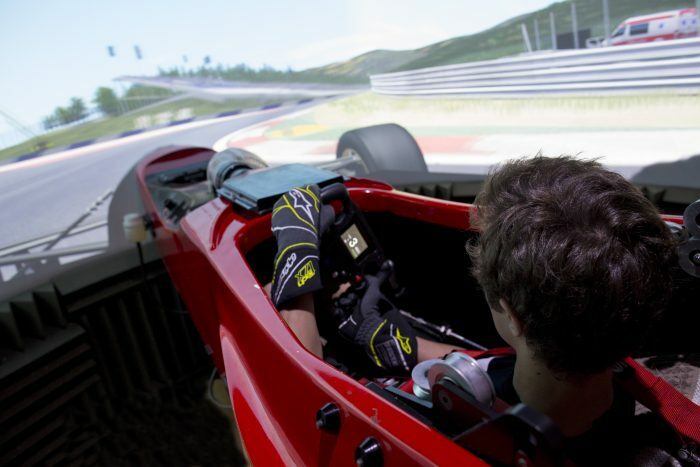 Our Simulator is truly unique in the fact that nearly every part of our simulator has been designed and manufactured in house. With this approach it has allowed us to spend time developing the best possible simulator for you. When we looked at all the simulators and companies already on the market we realised that although they all have their own good points, no one managed to create a sim with all the good points in one package and that is where we come in. We meticulously went through every detail on all the available simulators, thought of a way to enhance each element and then put it all together. The Pro-Sim simulator was born. When you come to use our simulator you will have a data engineer and driver coach on hand to help you. However of course you are welcome and we actively encourage you to bring your own engineer along and we can run the session for you under our guidance. When you come you will just need your boots and gloves but you can also bring as much or as little of your race gear you want to add to the realism.